1. Just in case you are ready to start Christmas shopping - I found some great home decor, like pillows for under $5. 2. This sweater is under $30 and comes in peach, black and stripes - and could be worn off the shoulder or as a boat neck sweater. 3. This biker/moto jacket is marked down 40%. 4. This belted cardigan is on sale for under $25. 5. This cute swing dress comes in great colors for fall and is under $25 on sale. 1. This bell/ruffle sleeve sweater that is only $15. 2. This $20 sweatshirt with a fun ruffle detail. 3. This striped tee that is under $20. 4. This fluffy sweater with a cute bow in the back. 5. This floral dress that would look great with suede booties for fall. Such a lovely sweater dress! Great post! I am loving grey and keep buying more and more of it! Thanks for the ideas! 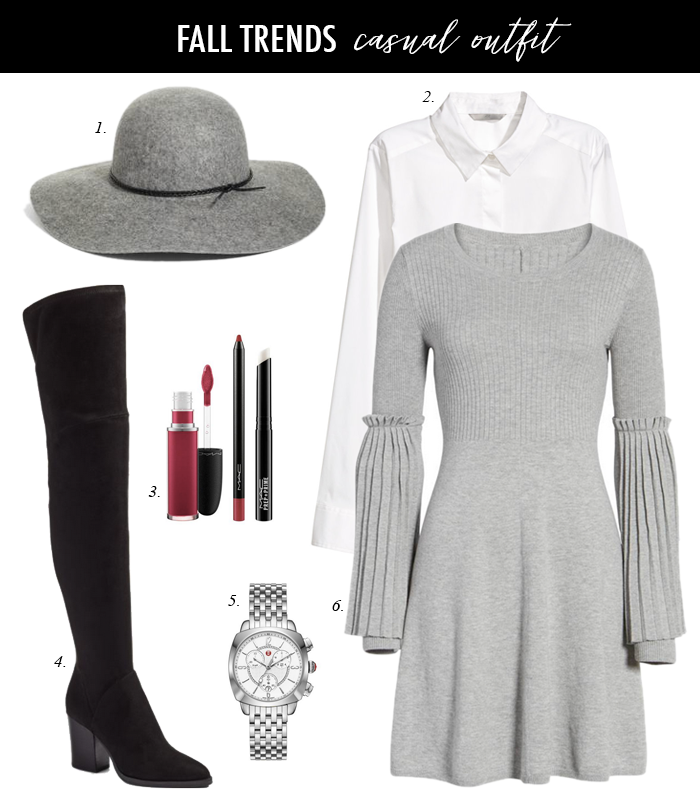 that sweater dress is too cute, as is the hat! I love casual outfits! Amazing pieces in this selection! Love the grey tones!